Minneapolis, MN- August 9, 2012- GameMill Entertainment, an independent publisher of entertaining mass-market video games, announced today its plans to release Big Time Rush: Dance Party on the Wii™ system from Nintendo and Big Time Rush: Backstage Pass for the Nintendo DS™ hand-held system. Based on Nickelodeon’s hit TV show and teen music phenomenon, Big Time Rush, players are given an all-access backstage pass to experience the thrill of on-stage performances as they sing and dance to the beat of the boy band’s hit songs. Big Time Rush kicked off their Big Time Summer Tour on July 5, 2012 where fans will get a sneak peek at the upcoming games set to release holiday 2012. “These games give fans a taste of what life on the road during a tour is all about and we’re stoked to give players the feeling on what it’s like to join us backstage, on the bus and performing live, making them feel like they’re a member of our band,” said Big Time Rush. In Big Time Rush: Dance Party (Wii) players dance and sing along with Kendall, James, Carlos and Logan as the guys record their album, practice choreography and start touring on the way to the big concert. Players can unlock exclusive cut scenes for up close and personal footage that can only be found in the game. Big Time Rush: Backstage Pass (Nintendo DS) offers on-the-go fun, featuring songs that include fan favorites like “Til I Forget About You,” “Boyfriend” and “Stuck”. Players follow along to the beat of the selected tracks, using the touch screen to tap, hold, drag and scribble on cue to earn maximum points. Fans can watch music-style videos to see behind-the-scenes views of the band in action from on stage to the tour bus and more. 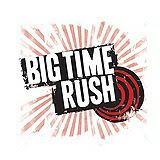 Now in its third season, Big Time Rush – which follows four best friends from Minnesota who trade in their hockey sticks for music superstardom in Los Angeles – averages 3.6 million total viewers. The launch of the hit series on Nickelodeon drew 6.8 million viewers, making it the most watched live-action series premiere in the network’s history.